Professional, safe and knowledgeable are just some things that come to mind when customers think of Modern Limo Service. After many years of experience in the transportation industry, you can be sure that we will provide the ultimate limo service in Los Angeles. 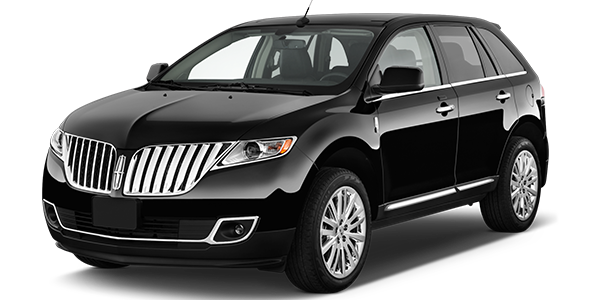 Modern Limo Service in Los Angeles is the premier private car service in Los Angeles. Our expert drivers offer the highest quality of professionalism, comfort, and safety. When you reserve a ride with us, have the peace of mind that your driver will be prompt and will meet all of your transportation needs. We specialize in corporate, special event, and airport car service. Modern Limo Service has a large fleet of luxury vehicles to select from. Avoid the hustle and bustle of traveling to and from LAX Airport, Burbank Airport and Van Nuys Airport. Enjoy our convenient, safe and prompt car service in Los Angeles. Experience our professional, reliable and trustworthy car service in Los Angeles. Arrive to your business meeting or conference in style and always on time. Our drivers know every square inch of Los Angeles. When you reserve a car service with us for an event, your driver will safely and comfortably drive you through town. We offer affordable hourly rate limo service in Los Angeles for any event, appointment and airport transportation. With our hourly rate car service, you can be as early or late as you desire. EXPERIENCE THE ULTIMATE RIDE. Competitive Rates And Consistent Good Standards. Modern Limo Service’s uniformed drivers are expertly trained, come with years of experience, and have passed extensive Department of Transportation (DOT) background and safe driving screenings. Your car service will always arrive in advance of your scheduled pickup time and effortlessly drive you to your destination. In addition, when you request a car service to airport, your chauffeur will check for flight delays and other potential airport issues to ensure that you reach your destination hassle-free. Our fleet of town cars, SUVs, luxury sedans and upscale vans will allow you to arrive in style and comfort to the airport, a party, a business meeting, or any other event that you need to attend. We can easily accommodate both single passengers and large groups. You can also customize your car and limousine service to meet all your transportation needs. Modern Limo Service in Los Angeles gets you where you need to go with style, comfort and class. We aim to exceed your expectations each and every time! All of the drivers at Modern Limo Service extend the highest level of professionalism and courtesy. Our experienced team has discreetly and respectfully served many celebrity and high-profile clients that Los Angeles typically attracts. Our well-maintained luxury vehicles feature glass privacy partitions and tinted windows. All of our expert drivers hold current TCP permits for full legal compliance and accountability. Reserve A Car Service Today And Make Your Leisure Or Business Travel Count.